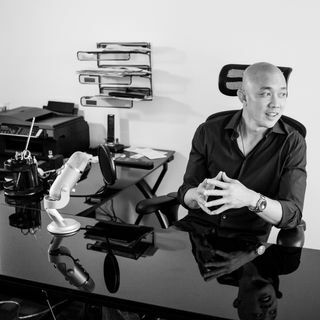 The Entrepreneur's Studio is a content creation and production studio JUST for entrepreneurs that have a big message to give to the world. This is an ongoing series of "byte-sized" tips & strategies from The 6 Figure Academy. Often times, when information is too dense, it's difficult to take it all in. These audio clips are designed to give you quick impactful insights and learnings, one "byte" at a time for easy mental digestion. This weekly LIVE show is geared towards helping entrepreneurs re-engineer bad Money Stories so that they can create a new lifestyle with their business free of financial stress and worry. From one week to the next you'll find strategies, tips, discussions, and interviews to help you expand the possibilities of your both your ... See More business and your life.